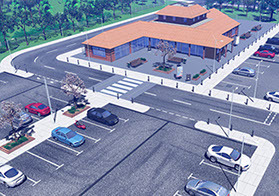 A large 3D model of a generic motorway service station and environs. 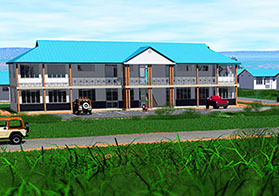 3D modelling exercise - A self-conceived 'Eco-house' and environs. 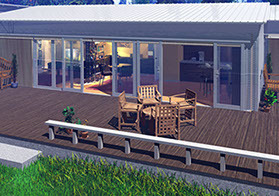 3D modelling exercise - A view inside the Eco-house. 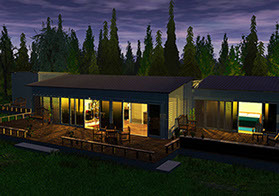 3D modelling exercise - A third view of the Eco-house, from an evening perspective. 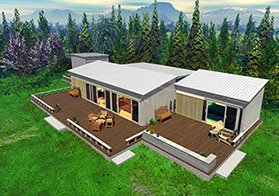 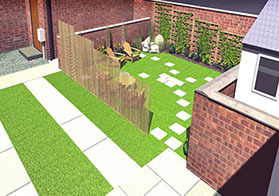 3D visualisation of a potential private garden layout. 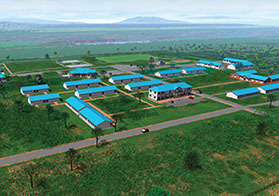 ... school buildings in a large educational complex in Uganda, also showing environs. 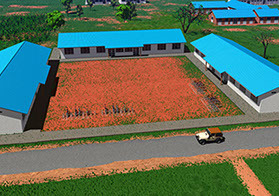 'Help Ugandan Schools '- A close up of one of the proposed new buildings. 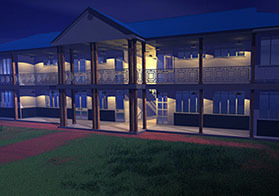 A night-time view of the new, main shool governer's and teachers' block.